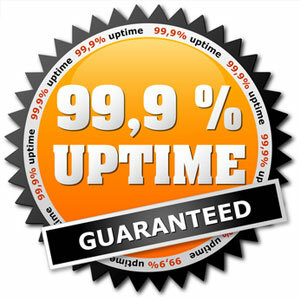 99.9% Uptime GuaranteeThere’s one thing you probably care about the most when it comes to hosting. Reliability. If your site is down, your visitors can’t purchase from you. They can’t find your contact information. They can’t read your new blog post. The bottom line is downtime means lost opportunity. We get it. Occasionally, servers and related hardware need to be brought down for routine maintenance and upgrades to ensure that our network is secure and performing optimally. We do our best to keep such incidents to a minimum, and will attempt to give you advance notice of any scheduled maintenance. These scheduled service outages do not qualify for the uptime commitment. Please see our Terms of Service (TOS) for more information.